Whether you're faced with heavy weather or calm, you can depend on Cat single-source Marine Power Systems. Generators and Controls. All are built to a single standard of dependable quality. Dealer parts and service support maintains dependability... for the whole system.. .wherever you go. 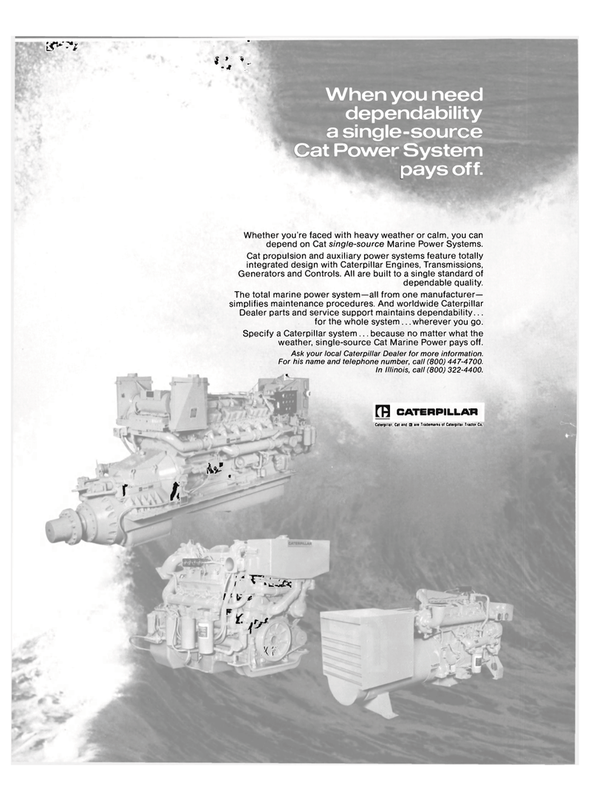 Specify a Caterpillar system ... because no matter what the weather, single-source Cat Marine Power pays off. Ask your local Caterpillar Dealer for more information. For his name and telephone number, call (800) 447-4700.